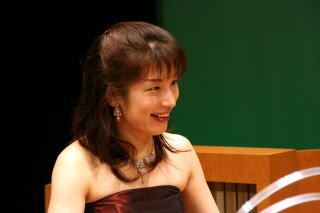 After Completing her bachelor’s and master's degrees in pedagogy of music from the University of Chiba, Wakana Ichihashi studied Ondes Martenot with Takashi Harada. She continued her studies in France under Jeanne Loriod, premier ondist and step sister of Olivier Messiaen. She received her diploma for Ondes Martenot's with unanimity and judges’commendation from Schola Cantorum. She was the last student of Jeanne Loriod before her death. In 2000, she was invited to the United Kingdom by recommendation of Jeanne Loriod to play in Olivier Messiaen’s “Turangalila Symphony” as a soloist under the direction of Mark Friz-Gerald. She is also an acclaimed performer at several festivals and concerts in France. In 2002, she started her career in Japan as an ondist. In addition to performances in salons and concerts, music festivals, clubs and educational institutions, she appears on radio and television programs. She has also won first prize with judges’ special commendation in several competitions at home and abroad. She is involved in composition and performance of all genres’ music, while also looking to further appreciation for the beauty of the Ondes Martenot. The Ondes Martenot is a monophonic electronic instrument invented in 1928 by the cellist and electrical engineer Maurice Martenot (1898-1980). 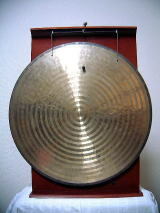 It is one of the oldest electronic instruments that has found a place amongst traditional instruments because of its unique sonic capabilities. 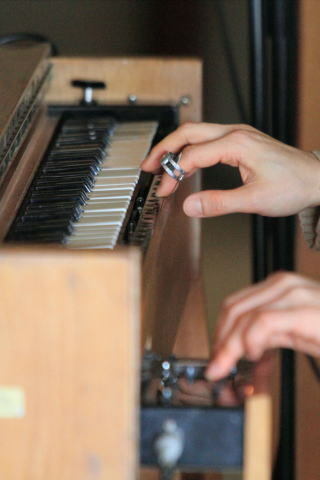 Unlike other early electronic instruments, the Ondes Martenot was quickly incorporated into the instruments of the orchestra and has a vast repertory of 20th century classical composers such as Arthur Honegger, Darius Milhaud, Andre Jolivet or Olivier Messiaen. The instrument may also be found at concerts, theatrical productions, in contemporary music and movies, on the radio and on television. Wakana Ichihashi inherited from Jeanne Loriod. 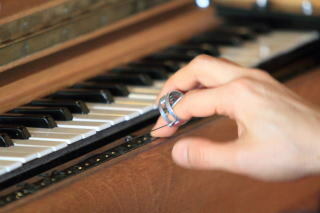 The structure of the instrument allows a vast array of glissandi, portamenti and vibration to be achieved by sliding a small ring worn on the right index finger along a metal ribbon located in front of the keyboard. Furthermore, the keyboard is suspended at both ends allowing variations in the nuance of vibrato to be controlled by oscillating the wrist while playing each note. The controls (tiroir ) installed in the left drawer manage volume and duration. 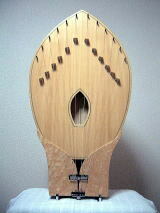 Pressing the tiroir with the left index finger controls intensity, from pianissimo to fortissimo and different modes of attacks. The combined use of both hands can express delicate nuances and a variety of sounds much like the bowing of strings. 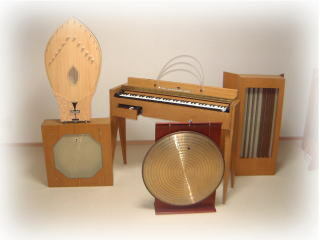 Three interchangeable loudspeakers called “diffusers” also give character to the sound of the Ondes Martenot. 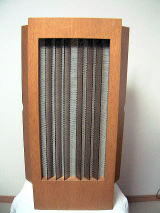 Each type of diffuser (strings, springs and gong) imparts a unique color to the reverberation in the produced sound.